If you want to visually organize your business teams and reporting relationships on different scales, then an organizational chart is the best choice for you. How to create an org chart in Excel? Simply follow these steps in the article, and feel free to explore more Excel org chart alternatives with more advanced human resource management features. 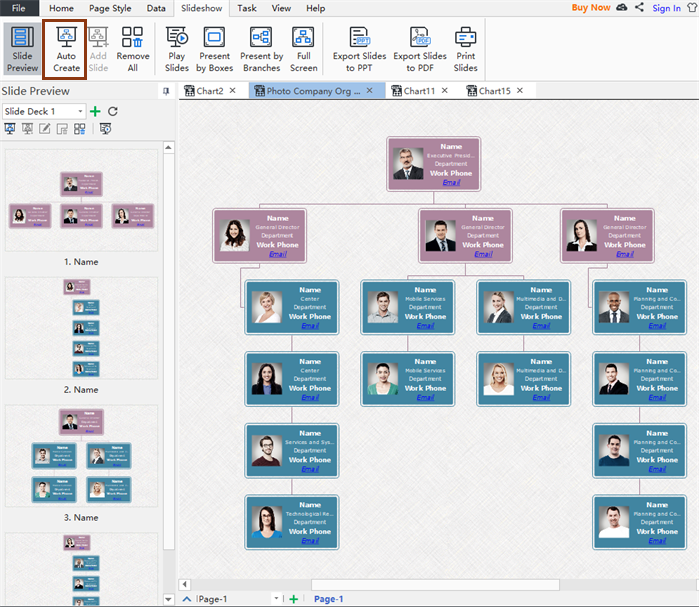 SmartArt feature in the Excel can help you to create an org chart with 30 or fewer employee shapes with photos, shadow effects, and colorful themes etc. 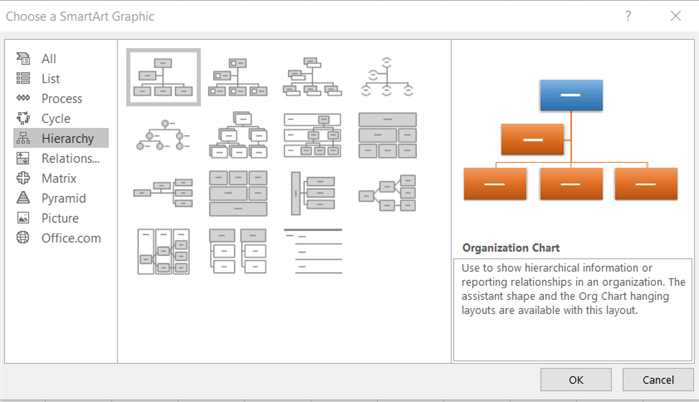 Go to the Insert tab>SmartArt>Hierarchy to choose a preset org chart layout. Now you can enter text into the shapes by double-clicking on one of the default text shapes. You can use the Promote/Demote buttons in the SmartArt Tools Design tab to move shapes horizontally, and the Move Up/Move Down buttons are for moving vertically. Besides, you can insert more shapes by hitting Add Shape in the SmartArt Tools Design tab. Excel also allows you to change between different org chart themes, colors, fonts and sizes in the SmartArt Tools Design and Format tabs. Any Excel Org Chart Alternative Recommendations? The software lets you edit more employee details by showing photos, adjusting text fonts, moving properties positions and so on. It is not easy to create an org chart in Excel with different HR management measurements. However, you can do so in the alternative one here as below by choosing from a wide range of factors such as Hire date, HR details, Photos, FLSA Counts, and Contact information etc. If you can’t find the one you want, simply add it within seconds. 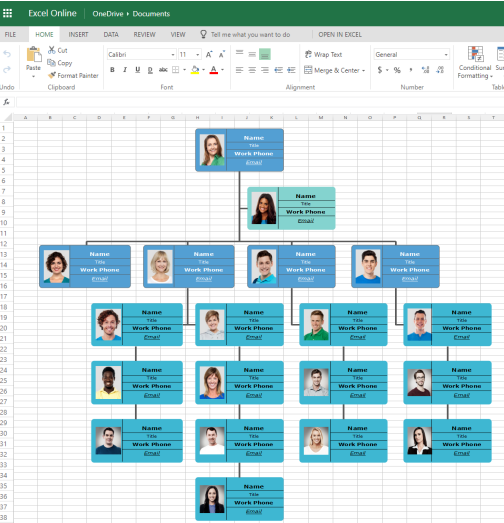 You can’t create an org chart in Excel based on the slideshow mode, but the software here can help you do so for different kinds of business meetings. Just click on the Auto Create button to quickly generate a series of slides according to your current org chart, then use the keyboard shortcuts to freely traverse between employee or departments in full screen. The software has some exporting options for you to export to the Excel format, or you may use the built-in personal/team cloud for effective communications. Ready to Create an Org Chart in Excel Alternative? Hopefully, you have found the best way to create an org chart for your team. Simply free download it and create your organizational chart right away!